Some time ago I wrote a very detailed and long blogpost on how you could control the Office 365 Pro-Plus version and update channel through the ADMX-Backed policy functionality within Microsoft Intune. Today this is not needed anymore and a easier solution is available. The Version and Update Channel of the Office 365 Pro-Plus Click-to-Run client can now be controlled through the ‘Administrative Templates’ policy type which is currently in preview. In this blogpost I will explain how you configure the new and easy way! Intune: How to Enable Windows Hello for Business? The last couple of months it was a bit quiet on my blog. This had to do with some new project assignments and I had some presentations to prepare for WMUG and ExpertsLive. Now those events are done I’ve some time to write blogposts. Last week I was involved in a question to enable Windows Hello for Business for a group of users instead of all users. Within Intune you can configure Windows Hello for Business for all users and to configure it for a group of users an additional policy is needed. In this blogpost I want to explain what is needed to configure this scenario. Next week I will be speaking on the Microsoft Tech Summit which takes place in the Amsterdam RAI. 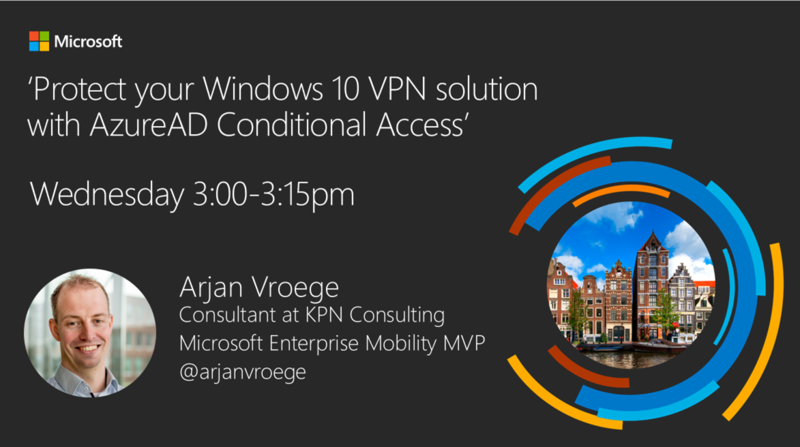 On Wednesday the 28th I will be speaking about ‘Protect your Windows 10 VPN solution with AzureAD Conditional Access’. 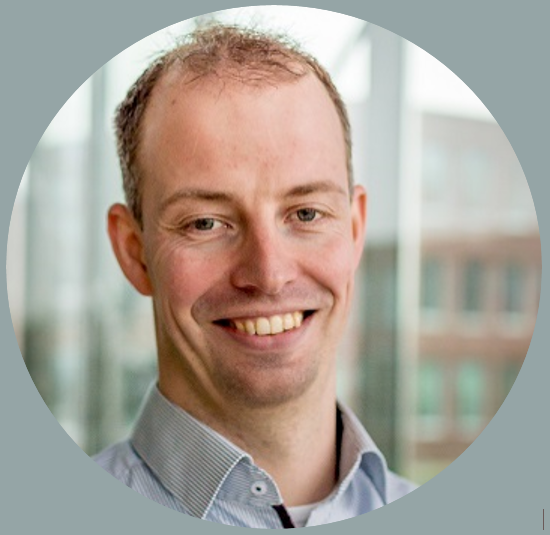 Beside my own session I will also take part in the Microsoft 365 Keynote where we will share our KPN Microsoft 365 Migration experiences. At the end of the day I will also be present on the ‘Ask-the-Experts’ session. On Thursday I will also be at the Tech Summit but just as an attendee . I hope to see you at my session in the The Hub Theater. In this demo-rich session I will discuss the Windows 10 AlwaysOn VPN solution. Beside the solution I will also show how we can publish the VPN through Microsoft Intune to our Windows 10 workstations and how we can protect the AlwaysOn VPN with AzureAD Conditional Access. Come to this session if you want to learn more about the AlwaysOn VPN and how to protect it with AzureAD Conditional Access. This weeks blogpost is about collecting ‘custom’ data which is not inventoried by Intune or Windows Analytics in a Windows 10 Modern Management scenario. In a modern management scenario data about the device like Device Model, Installed Applications, Windows Updates Compliance are collected by either Microsoft Intune or Windows Analytics. But at this moment there are some ‘gaps’ when looking to which data is collected and which not, examples are BIOS information and Office365 Pro-Plus deployment information. In this blogpost I’m describing a solution which you can use to collect additional data and create reports based on the collected data. With Microsoft Intune we can control the Windows 10 Update rings by using the Software Updates policies. For the Office365 Pro-Plus installations this is a different story, at this moment we are not able to configure this through a GUI policy within Intune. In my current project it’s one of the requirements to control and enforce the update channels of the Office365 Pro-Plus installations. I was discussing this requirement with my colleague Peter van der Woude and he challenged me to check if this was possible through ingesting a Office ADMX policy file. My answer was: Challenge Accepted! This week I was looking into an issue with Intune and conflicting policies. In our case the Device Restriction and the Software updates policy were in conflict. In this blogpost I want to share you how I did some troubleshooting and how I solved the conflicting policies.My first step was trying to look into the configured policies and looking for the policies which have a high percentage of error deployments.